The Municipality of San Remigio received six (6) Outstanding Awards thru the excellent leadership of Hon. Mayor Mariano R. Martinez during Our Cebu Program (OCP) and Sugbo Kontra Druga Program (SUKOD) Awarding Ceremony last November 28, 2017 at Cebu Grand Convention Center. 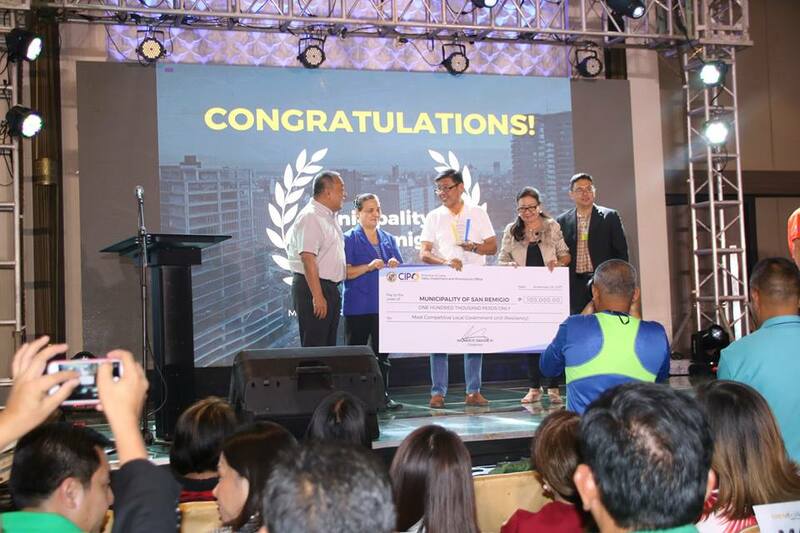 Municipality of San Remigio was being awarded as top performing LGU 7th place out of 52 Cities and Municipalities in the Province of Cebu during Our Cebu Program awarding Ceremony. Awarded as 2nd place top performing LGU in the Anti Drug Abuse Council the entire Cebu Province. Awarded as 2nd place top performing Municipal police station of the SUKOD Program in the entire Cebu Province. Awarded as 5th place in the CMCI most competitive LGU in the whole Province of Cebu. Awarded as 5th place top performing School (Tambongon Integrated School) in the whole Province of Cebu. Awarded as one of the top performing barangay (Kayam) in the SUKOD program in the Province of Cebu.